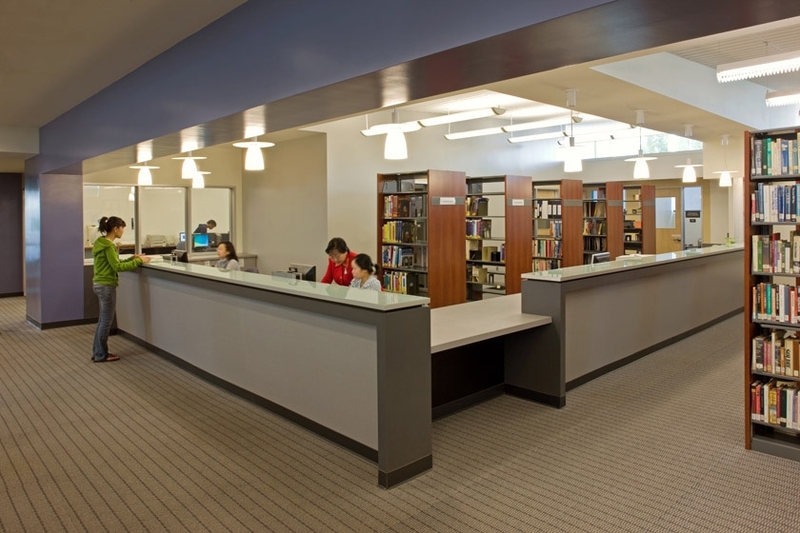 The Long Beach Community College Library and Learning Resource Center enables local students to transfer to four-year institutions by providing learning opportunities not previously available. Technology-rich spaces and a dedicated staff permits the college to teach, train and inspire neighborhood students to be successful in higher education. Sloping ceilings bring natural light deep into the building over low perimeter offices and study rooms. 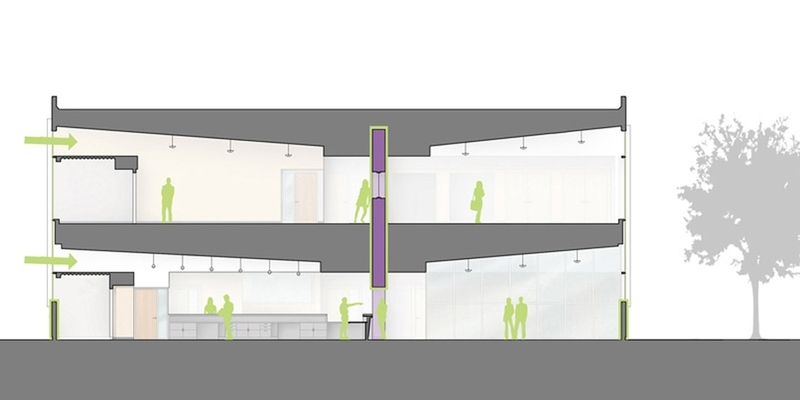 To enable the building to operate with a minimum of staff, much of the interior of the Library/LRC is designed with open vistas and plenty of interior windows. The Library/LRC represents aspirations for a brighter future and provides access to the latest technology, a healthy, naturally–lit environment, and valuable resources within easy reach of the neighboring community.